Summer is fast approaching, and we know there'll be plenty of outdoor action you'll be looking to capture so we are offering five J1250 cameras - each worth £100 - to help you do so. The new J1250 boasts many advanced features as standard including a fantastic 5X zoom lens, 12.2 megapixel capacity, and an extra large 2.7 LCD screen. The J1250 also has face, blink and smile detection, pan capture panorama for capturing wide views or large groups of people, and a movie mode which means whatever that special moment – you can relive it again and again. Getting the right picture every time is easy thanks to the auto scene detection feature selecting the right setting for any situation. The intuitive design and sleek lightweight aluminum body, ensures the J1250 looks great, is practical and easy to carry. 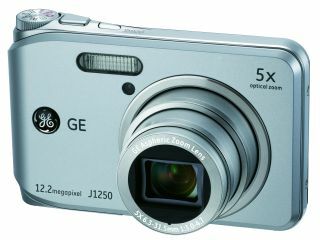 For more on the full range of GE digital cameras visit http://www.ge.com/digitalcameras. This competition is now closed. Winners are as follows: Dominic Kwong, Anouska Millard, Darren Gilbert, Duncan McGregor and Sara Wilson.